I was feeling really chuffed. So of course what happened next was that when I cast again something felt wrong and I realised my quiver tip had detached from the rod and had joined the weight and bait at the end of the line. A minor bore but easily remedied. Except that once I had reinserted the tip and cast again, my line must have got tangled behind the spool because the cast was accompanied by that heart-sinking ‘snap!’ as the end gear sailed off into the middle distance no longer attached to the line. By the time I had re-rigged the action had all but died off. 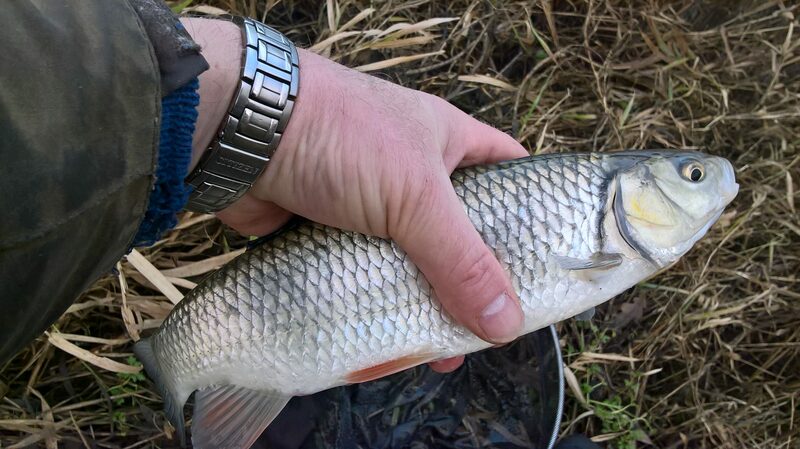 But hey, I caught a really nice chub and I am getting increasingly confident that the fish are still there, still feeding and still waiting to be caught.